The Chicken Rice Shop outlets are all very standardized—it’ll be hard to miss them, with their iconic red and yellow signage as well as walls indoors. 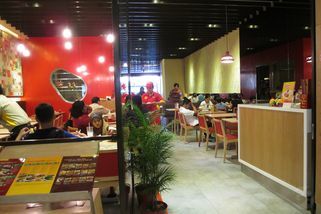 There are comfortable regular dining tables as well as booth seats in the restaurants. 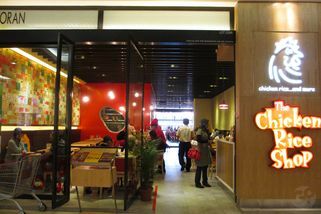 The outlet at 1 Utama is small and cosy, and was recently renovated, so the décor is brand new and has a futuristic touch. 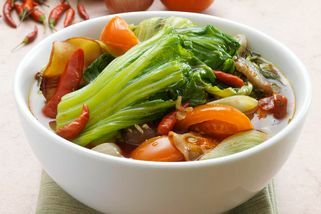 I love spicy mix vege. taste good. Service also 'A' (very2 friendly) & price value 4 money. 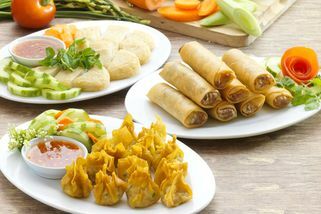 Others food is nice. Went there for a lunch on a weekend. I ordered honey bbq chicken rice and my fav the famous 3 layer tea. Food was great so with the service. 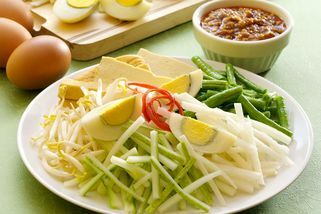 They can improve by making the portion bigger. 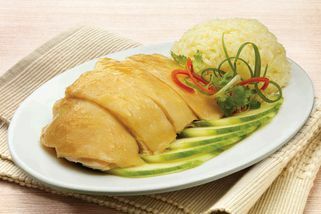 "Food here not bad ^_^"
The chicken rice shop at One Utama outlet just renovate their shop at the old wing. I always have their chicken curry with chicken rice whenever i went to chicken rice shop and i kinda like the curry there. It's not so many people at the outlet there tho it's weekend so we got our food quite fast. The atmosphere there kinda great since it just finish it's renovation. I think the price is pretty reasonable too.